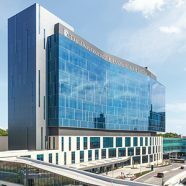 Mount Sinai Medical Center has transformed its health campus in Miami Beach with the creation of its new surgical tower and emergency department (ED). 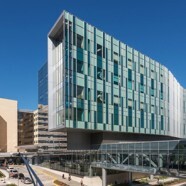 The 340,000 sf expansion brings new spaces to the campus and enhances Mount Sinai’s ability to deliver leading-edge care and attract world-class physicians. 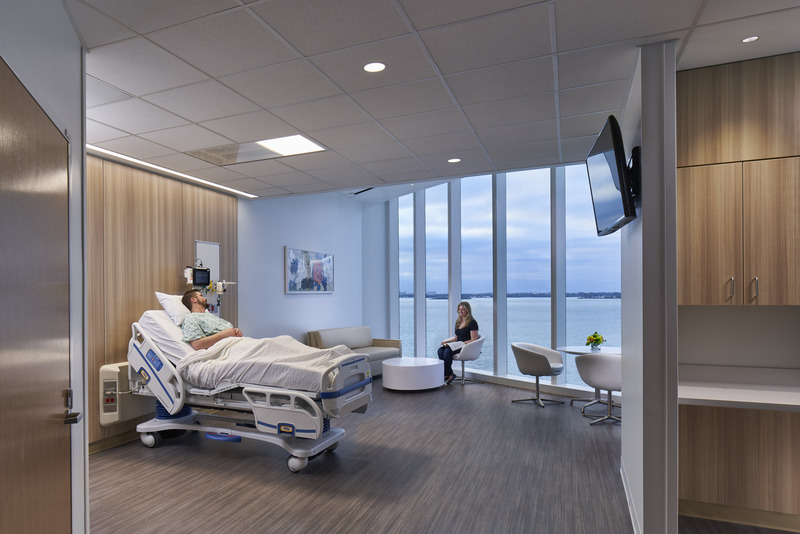 In addition to designing the new building, we led the master planning for the greater campus, and Blue Cottage of CannonDesign led the operational planning, transition planning, move management, and go-live coordination leading up to the first day of operations. 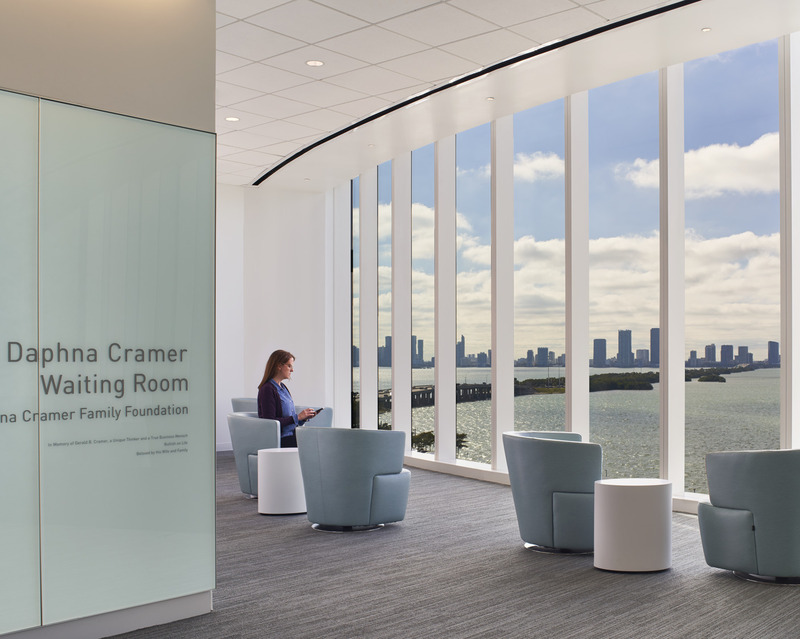 Equipped with 154 private rooms, including larger VIP suites, and 12 large contemporary operating rooms in a new surgical suite, the new patient tower offers striking views of nearby Biscayne Bay and the Miami skyline. 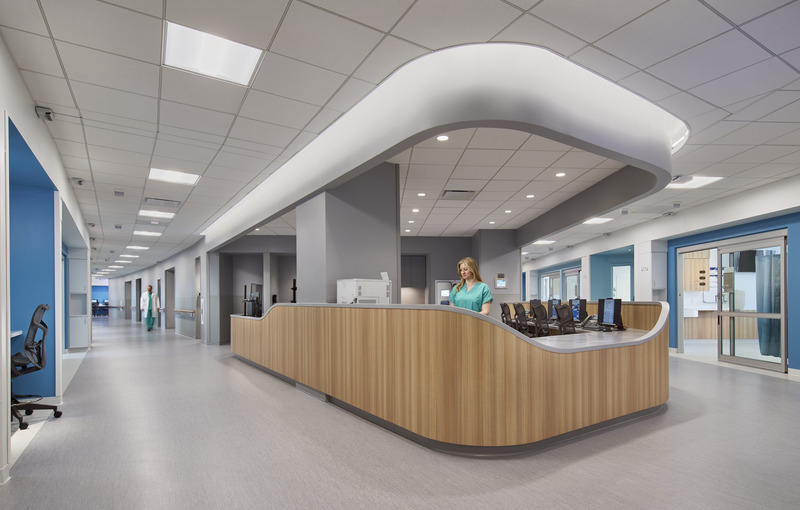 The new ED offers 50 treatment bays and essentially triples the size of Mount Sinai’s previous facility to accommodate up to 75,000 patient visits annually. 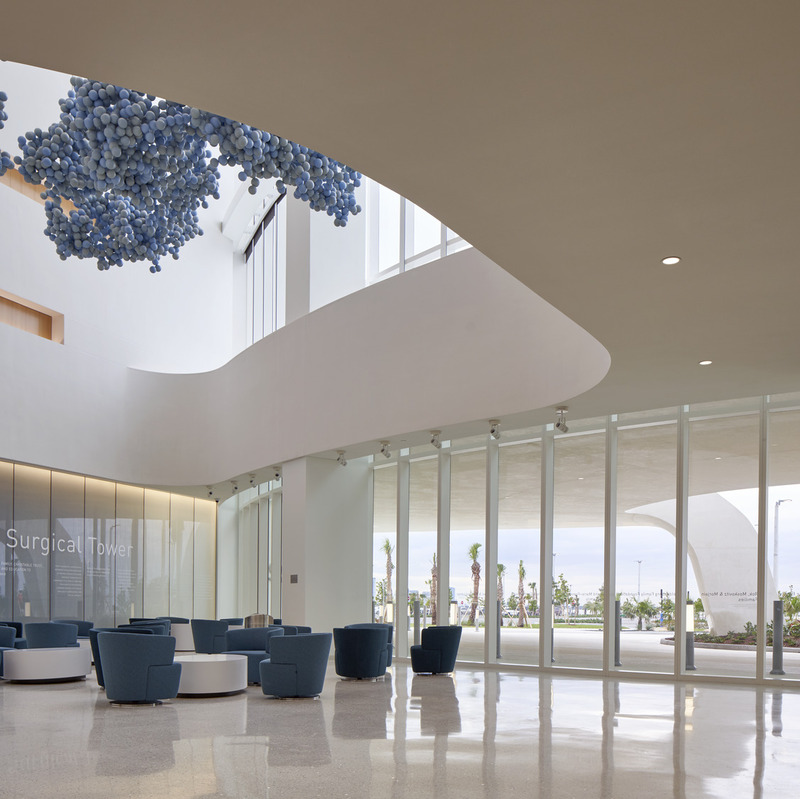 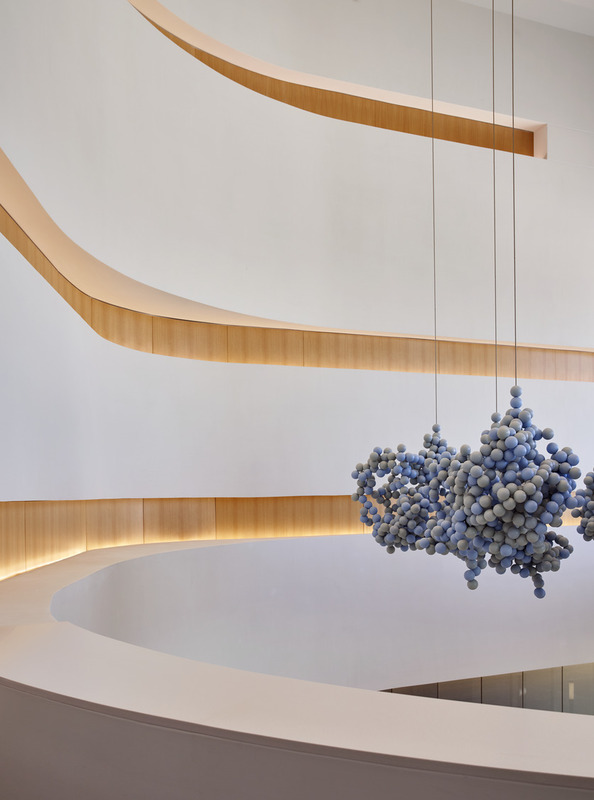 From the start, the project was always envisioned as an opportunity to create a beautiful and transformative new centerpiece for the medical campus. 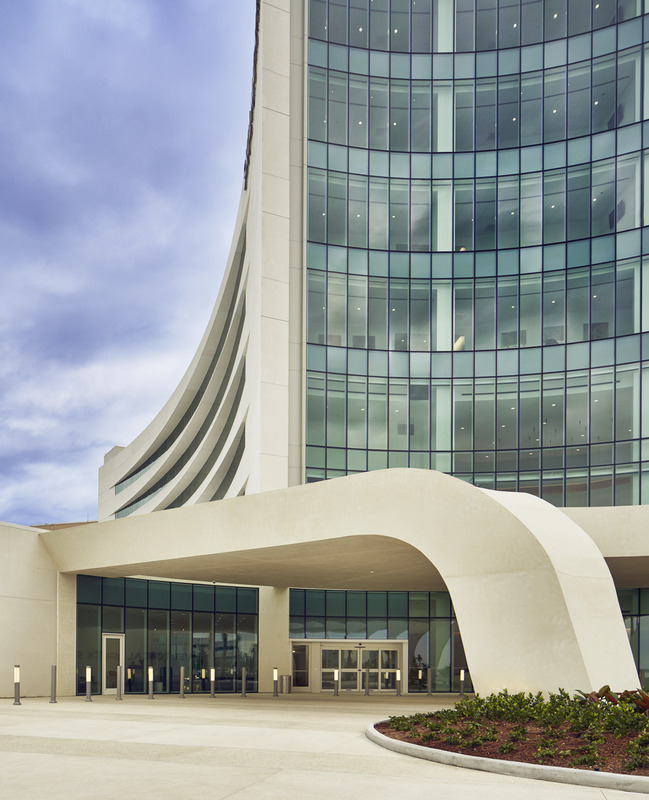 The building’s sweeping façade is designed with compound curves instead of straight lines to help ensure its visual impact and provide a contemporary take on Miami’s art deco architectural heritage. 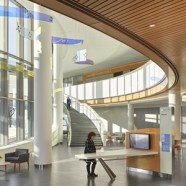 Given the tower’s unique location on the coastline, the entire facility is designed to embrace flexibility and resiliency, ensuring it will be able to provide access to care for generations to come. 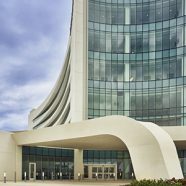 To that end, the surgical tower was built to withstand hurricane force winds more than 185 mph, 100-year flood water levels, and extended power outages. 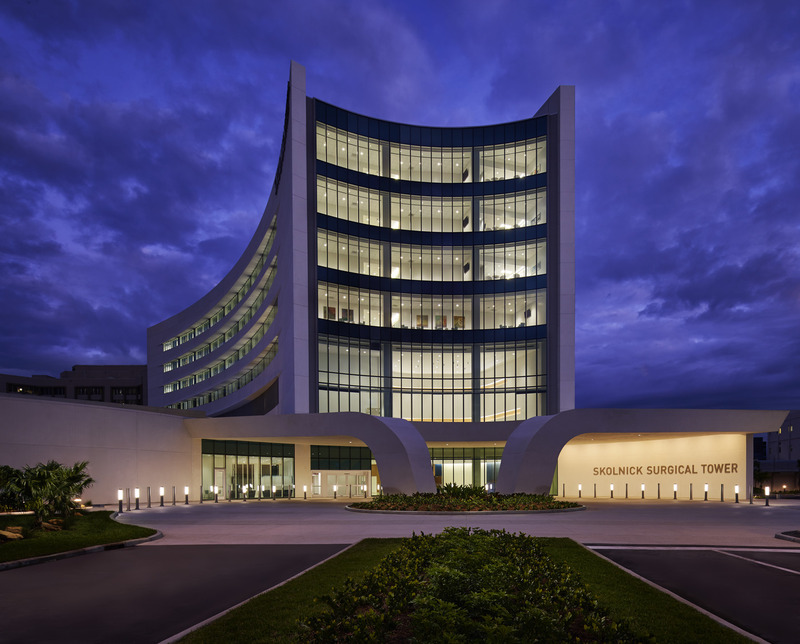 In fact, the hospital even withstood Hurricane Irma in fall 2017 with no significant damage, even while still under construction.